Neither speed nor impaired driving appear to be factors in the Tuesday, July 10, incident. A pedestrian suffered critical, life-threatening injuries around 10 p.m. Tuesday, when she was struck by a vehicle on Pacific Highway south of King City. 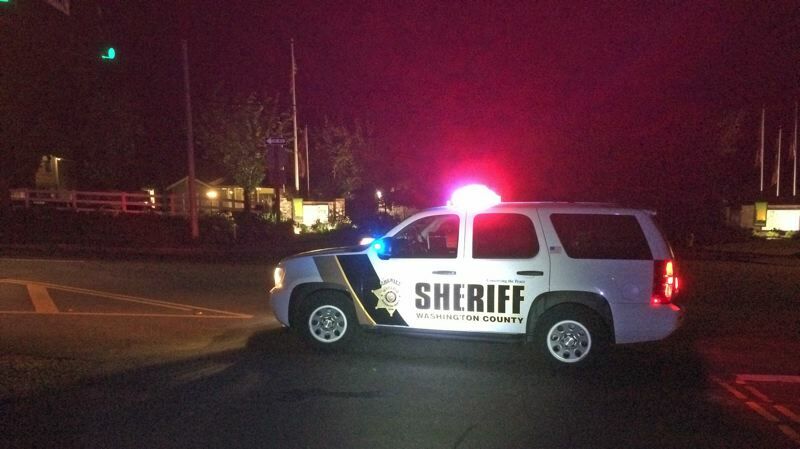 Washington County Sheriff's Office deputies responded to the incident on the 17000 block of Southwest Pacific Highway outside of King City just after 10 p.m. Tuesday, July 10. Tualatin Valley Fire & Rescue provided medical aid and transported the injured 25-year-old female pedestrian to a local hospital. Investigators believe the pedestrian was crossing Pacific Highway when she was struck by a gray Ford Explorer traveling southbound. The driver, an adult male, remained at the crash scene and is cooperating with the investigation. Neither speed nor impairment are not believed to be factors in this crash. Pacific Highway was closed to southbound traffic between Southwest Fischer Road and 124th Avenue for approximately three hours Tuesday. The inter-agency Crash Analysis Reconstruction Team is assisting in the investigation. King City Police assisted during the incident.